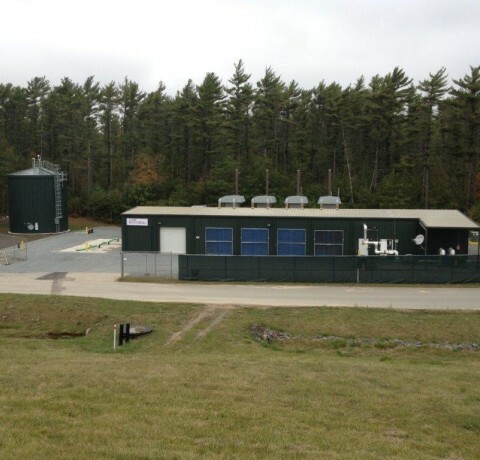 The New Bedford Landfill Gas-to-Energy Project is a gas-to-energy plant which produces approx. 3.3 megawatt hours (MWh) of clean electricity. This landfill gas, which includes methane and carbon dioxide, is collected from the landfill to fuel four reciprocating internal combustion engine-generators. With support from Carbonfund.org, the project not only produces power for the regional electricity grid, but also reduces the amount of methane released into our atmosphere. The destruction of methane from such projects is important in the fight against global climate change because methane is approximately 23 times more potent as a greenhouse gas than carbon dioxide. One of the real concerns about climate change is that as the frozen tundra of areas such as Siberia and Northern Canada melt, an enormous amount of methane – which was previously trapped in the permafrost – will be released into our atmosphere.